Every week or so we explore new ideas and ways to help our readers and clients get more 5 star reviews on Google, Facebook, Yellow Page Sites, and online in general. Of course the service offered by FiveYellow is one of the fastest and safest ways to get more 5 star reviews without the wait. 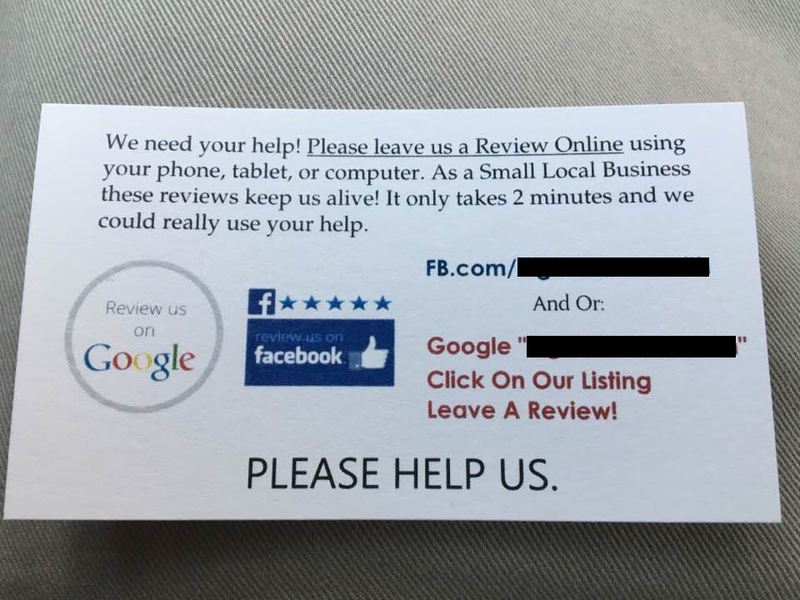 In this post we talk about how you can get YOUR customers and others to drop you a review on Google, Facebook or wherever you would like. 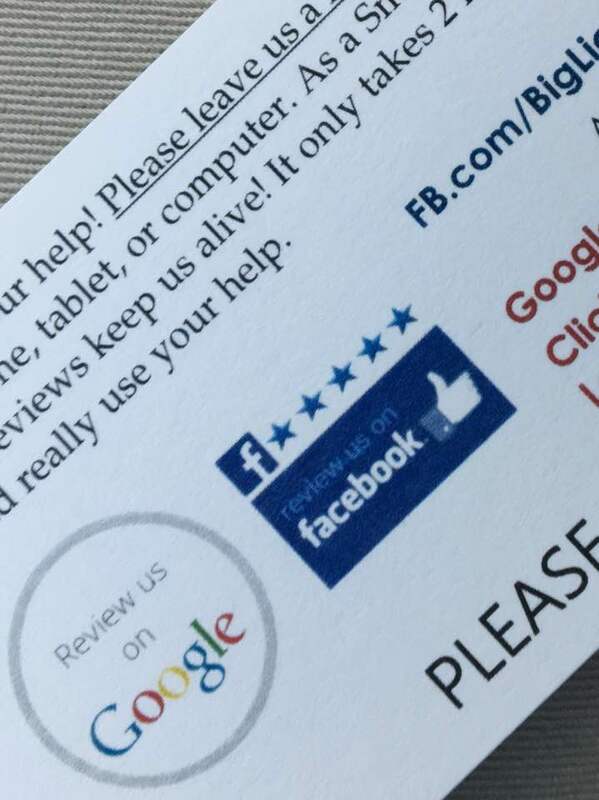 Using you business card as a way to push people to leave you an online review is a very effective way. Since your business card has 2 sides and the back is usually blank, YOU need to utilize this space to basically ask (Beg) for them to leave a review for you online. The problem is people do not usually go out of their way to say GOOD things about a business or service. Give them one reason to say something bad and they will in a heartbeat.